To compliment our CFSP Facility we can offer you 60,000 sqft of Customs & Excise approved Bonded Warehousing. 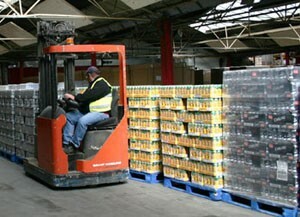 At our bonded warehousing in Bristol, all goods are racked or palletised enabling immediate access. We will also arrange to collect or deliver them for you. We have recently deployed a state of the art stock control system so that you will always know exactly how much of your stock we have on hand. 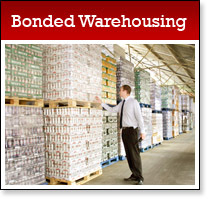 Our bonded warehouse offers you maximum security (camera surveillance) storage with the minimum of fuss. We are an approved Customs and Excise bonded storage facility for wines, beers and spirits. 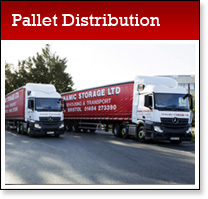 This service offers our customers flexibility and convenience for their off site storage. 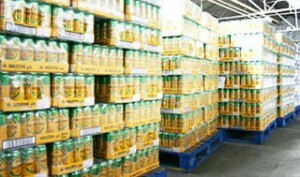 All goods are palletised for ease of transportation and handling.